Musical artist and producer Jerry Yester was a part of some of the biggest albums of the sixties and seventies from acts like The Turtles, Lovin' Spoonful and Tom Waits. Yester released a couple of singles in the late-sixties, but never assembled a full-length studio album. On October 6th, Omnivore Recordings has gathered together 15-songs that Jerry Yester recorded throughout the seventies for "Pass Your Light Around." The songs were taken from Yester's personal archives and were remastered for this new release, which begins with the classic country/folk of the title-song "Pass Your Light Around." Yester's vocals have that iconic tone that made many singer/songwriters stand-out in this transitional period of music. The beautiful harmonies of "Brooklyn Girl" sound as if they were recorded by The Beach Boys, while the gentle acoustics of "The Whiskey Moon" will touch your soul. Yester draws similarities to the great Leon Russell with "Dance For Me, Anna Lee," then delivers the folk stories of "Seesaw," before finishing up the album with light touch of "The Rose" and the raw, blues rock instrumental "Hip Toad." 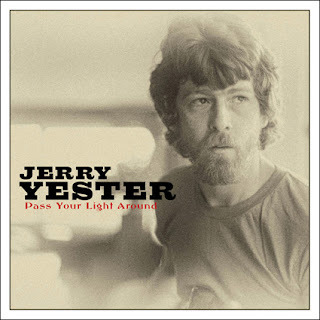 To find out more about this new release from Jerry Yester titled "Pass Your Light Around," please visit omnivorerecordings.com.